Dry, Steam Upholstered & Leather Sofa Cleaning L25 Halewood | Quality Property Care Ltd.
Do not hesitate to give us a call and make a reservation or ask for more information about our expert upholstery cleaning services in Halewood L25. Dial this phone number 0151 673 0008 and reach our polite and kind customer support representatives. They respond to customers service support and will arrange a visitation by the experienced and skillful sofa cleaners for you as soon as possible! Please note that if you order more than 1 service, you will get a special discount from us! All regular and loyal customers also receive a promotional price! 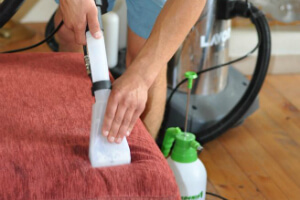 The professional sofa and upholstery cleaning company Quality Property Care Ltd. has been offering its premium quality, reliable services since (2004) and is a preferred cleaning service both for the domestic and commercial upholstery cleaning needs of the residents of Halewood L25. The stain removal and deep cleaning provided is done by dry or wet cleaning, depending on the type of material and stain being cleaned. Apart from the upholstery cleaning, the cleaners can do drapery cleaning, blinds cleaning, curtain cleaning, mattress cleaning and bed beg mattress treatment as well. All cleaners are competent and trained to deal with any kind of stains and materials safely for you and for your furniture. You can book deep mattress cleaning as well as the highly efficient bed bug mattress treatment offered by Quality Property Care Ltd.. This type of deep cleaning is absolutely mandatory if you have dust allergies, or suffer from asthma, a runny nose, eczema, unexplained headaches or have itchy red eyes. There is not 100% scientific evidence, but the germs, dust and dust mites can also cause depression as well. Even if you don’t suffer from any of these unpleasant health problems, it is recommended to periodically deep clean your mattresses, in order to kill the germs and dust mites which love to reside in mattresses. The cleaner uses a modern intensity ultra-violet light which efficiently removes and destroys bacteria, dust mites, fungal spores and other harmful debris. No moisture is used, so the cleaning process is safe for mattresses and pillows, and is suitable for hospitals, hostels and everything that has beds. Get rid of the dust and debris from your curtains, draperies, furniture upholstery, blinds and mattresses by booking your professional upholstery cleaning service right now! Don`t waste even more time and make an order for our top-notched upholstery sofa cleaning services in Halewood L25 at a bargain price! Get a free quote today! Call us on 0151 673 0008 and get your offer right away!